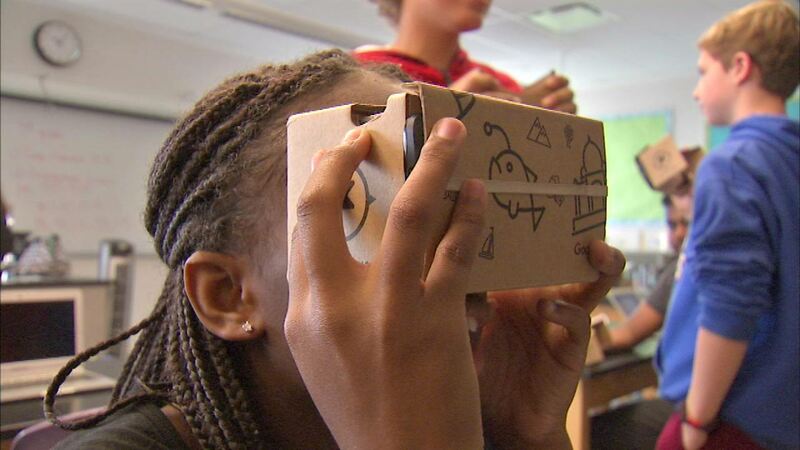 CHICAGO (WLS) -- Google is taking classroom learning to a whole new level with its Google Expedition, and some students on the West Side got to try it out Wednesday. Students at Skinner West Elementary put on cardboard glasses, which display virtual images of whatever the kids are learning about, such as Mars or the Great Wall of China. Google says it is piloting the program at several Chicago schools and hopes to roll it out to all classrooms soon.